This Apache Spark and Scala certification training is designed to advance your expertise working with the Big Data Hadoop Ecosystem. 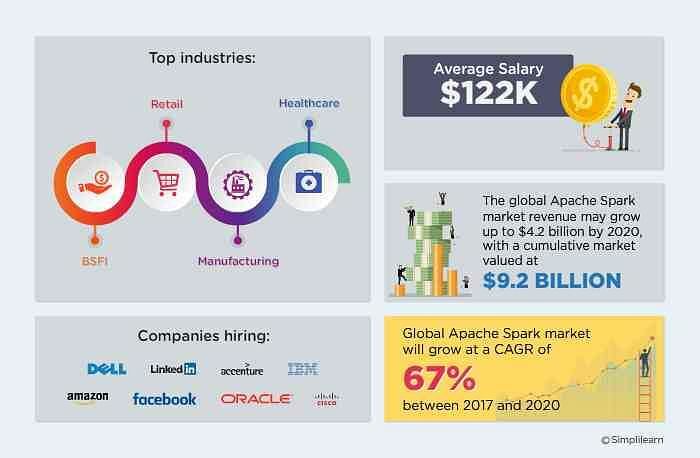 You will master essential skills of the Apache Spark open source framework and the Scala programming language, including Spark Streaming, Spark SQL, machine learning programming, GraphX programming and Shell Scripting Spark. This Scala Certification course will give you vital skillsets and a competitive advantage for an exciting career as a Hadoop Developer. Why learn Apache Spark and Scala? Who should take this Scala course? What projects are included in this Spark training course? This Apache Spark and Scala training course has one project. In this project scenario, a U.S.based university has collected datasets which represent reviews of movies from multiple reviewers. To gain in-depth insights from the research data collected, you must perform a series of tasks in Spark on the dataset provided. How do I become a certified Apache Spark and Scala professional? You must complete a project given by Simplilearn that is evaluated by the lead trainer. Your project may be submitted through the learning management system (LMS). If you have any questions or difficulties while working on the project, you may get assistance and clarification from our experts at SimpliTalk. If you have any further issues you may look to our Online Classroom Training, where you may attend any of the ongoing batches of Apache Spark and Scala Certification Training classes to get help with your project. A minimum score of 80 percent is required to pass the online examination. If you don’t pass the online exam on the first attempt, you are allowed to retake the exam once. At the end of the Scala course, you will receive an experience certificate stating that you have three months experience implementing Spark and Scala. What are the prerequisites for the Scala course? After successful completion of the Apache Spark & Scala course, you will be awarded the course completion certificate from Simplilearn. What is the passing score for the Apache Spark & Scala exam? The Apache Spark & Scala certification exam is 120 minutes long and comprises 60 single or multiple choice questions. The passing score for the exam is 80% (i.e you must answer 48 questions correctly). How many attempts do I have to pass the Apache & Scala exam? How long does it take to receive the Apache & Scala course certification? Upon successful completion of the Simplilearn’s Apache Scala & Spark online training, you will immediately receive the Apache & Scala course certificate. How long is the Apache & Scala Certification valid for? The Apache Spark & Scala certification from Simplilearn has lifelong validity. I have passed the Apache & Scala exam. When and how do I receive my certificate? 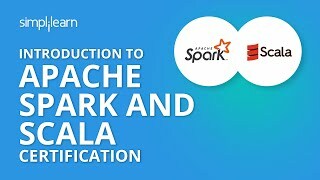 Upon successful completion of this apache spark and scala course online and passing the exam, you will receive the certificate through our Learning Management System, which you can download or share via email or Linkedin. Instructor is very experienced in these topics. I like the examples given in the classes. It was really a great learning experience. Big Data course has been instrumental in laying the foundation for the beginners, both in terms of conceptual content as well as the practical lab. Thanks to Simplilearn team that it was not less than a live classroom..Really Appreciate it.. The training has been very good. Trainer was right on the targeted agenda with great technical skills. He covered all the topics with good number of examples and allowed us to do hands-on as well. 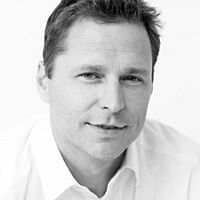 Martin Stufi C.E.O - Solutia, s.r.o. Well-structured course and the instructor is very good. He has a good grip on the subject and clears our doubts instantly and he makes sure that all the students understand things correctly. Great Class. Very interactive. Overview of HDFS and MapReduce was very helpful, it was smooth transition to the Apache Spark and Scala knowledge. The content is good. Overall, excellent training. Getting a high quality training from industry expert at your convenience, affordable with the resources you need to master what you are learning. The trainer has excellent knowledge on the subject and is very thorough in answering the doubts. I hope Simplilearn will always continue to give trainers like this. It was really a wonderful experience to have such real-time project discussion during the training session. It helped to learn in depth. What are the system requirements for taking this course? We will help you set up a virtual machine with local access. The detailed installation guide is provided in the LMS. How is the project completed and how do I get certified? Everything you need to complete your project, such as, problem statements and data points, are provided for you in the LMS. If you have other questions, you can contact us. After completing the Scala course, you will submit your finished project to the trainer for evaluation. Upon successful evaluation of the project and completion of the online exam, you will get certified as a Spark and Scala Professional. Who are the instructors/trainers and how are they selected? All of our highly-qualified instructors are Apache Spark and Scala certified, with more than 15 years of experience in training and working professionally in the field. Each of them has gone through a rigorous selection process that includes profile screening, technical evaluation and live training demonstration before they are certified to train for us. We also ensure that only those trainers who maintain a high alumni rating continue to train for us. What are the modes of training offered for this Scala Training course? Live Virtual Classroom or Online Classroom: With instructor led online classroom training, you have the option to attend the course remotely from your desktop or laptop via video conferencing. This format improves productivity and decreases time spent away from work or home. Online Self-Learning: In this mode you will receive lecture videos which you can review at your own pace. We provide recordings of the class after the session is conducted, so you can catch-up on training before the next session.